The magnificently designed box consists of 45 beautifully wrapped heart shaped chocolates and a love bar. This gift box is all you need to present your beloved with everything sacred on valentine day. The magnificently designed box consists of 45 beautifully Read More..wrapped heart shaped chocolates and a love bar. 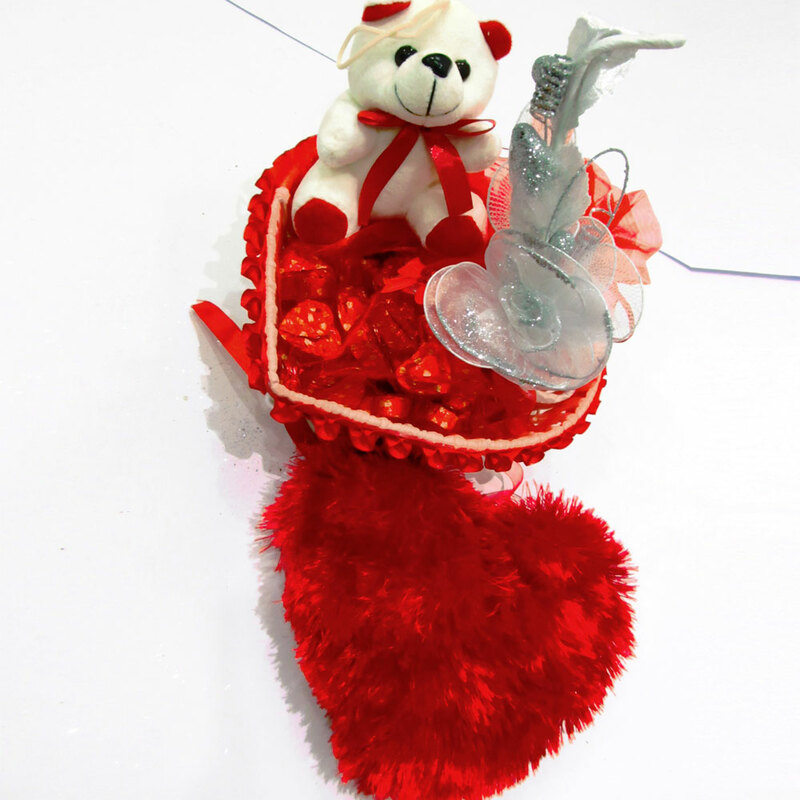 There is also heart of feather, a cute teddy bear, a rose and even a love bird. Show Less..